Despite many advances in heart disease, it continues to be a large public health threat in the United States. More than 70 million Americans have heart disease. One American dies from heart disease every 34 seconds. 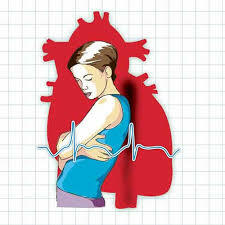 Nearly half of the population will suffer a heart attack or stroke in his or her lifetime. As the American population ages, the number of people with heart disease will likely increase. But, there is good news in all of these numbers. The way doctors treat heart disease is starting to change. 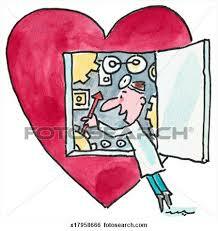 For example, we now know that heart disease most often occurs because of a number of risk factors. Doctors are starting to look at the cardiovascular system as a whole, in an effort to prevent heart disease, rather than treating one risk factor at a time. And patients can play a big role, too. You have to ask the right questions, provide the correct information and work with your health care professional to make sure that you understand what the information means to you personally. Think of risk factors as pieces of a puzzle. When put together, the pieces can help show you your chance of suffering a heart attack or stroke in the future. Each person’s risk factor puzzle fits together differently. In addition to the factors related to family history and behavior, recent research suggests there may be other risk factors to consider, such as C-reactive protein (CRP). CRP, a protein made by the liver, is a marker of inflammation in the body. Though the role of CRP in heart disease is still unclear, recent data suggest levels of CRP may predict risk for heart attack. If you have several risk factors for heart disease, your doctor may recommend a test to check your CRP level. It’s important to keep track of your risk factors and know what they might mean for you. The more risk factors you have, the greater your chance of having a heart attack or stroke. Take control of your own unique health puzzle. Ask your doctor what you can do to reduce your risk, making lifestyle changes and taking medication if needed-particularly if you have one or more risk factors. You may be able to prevent heart disease before it strikes. A strong life force can be seen in physical vitality, courage, competent judgment, self-mastery, sexual vigor, and the realization of each person’s unique talents and purpose in life. To maintain a powerful life force, forget yourself, forget about living and dying, and bring your full attention into this moment.